Jon Borowicz, emeritus professor of music at Norwich University, had a dream of bringing together local musicians to perform classical symphonic works. His dream was fulfilled in December 1959, when the Vermont Philharmonic played its first public concert, Handel's Messiah in Plumley Armory in Northfield, Vermont. During the next 30 years, the orchestra performed in a wide variety of settings throughout Vermont. The orchestra found a permanent home in the Barre Opera House when it was reopened in 1993. Professor Borowicz held the baton for nearly 20 years. In 1977, New Zealand native Brian Webb became the orchestra's conductor for the next two decades, stepping down in 1997 to pursue other interests. Dan Bruce served as Interim Music Director during the orchestra's two-year search for a new conductor. 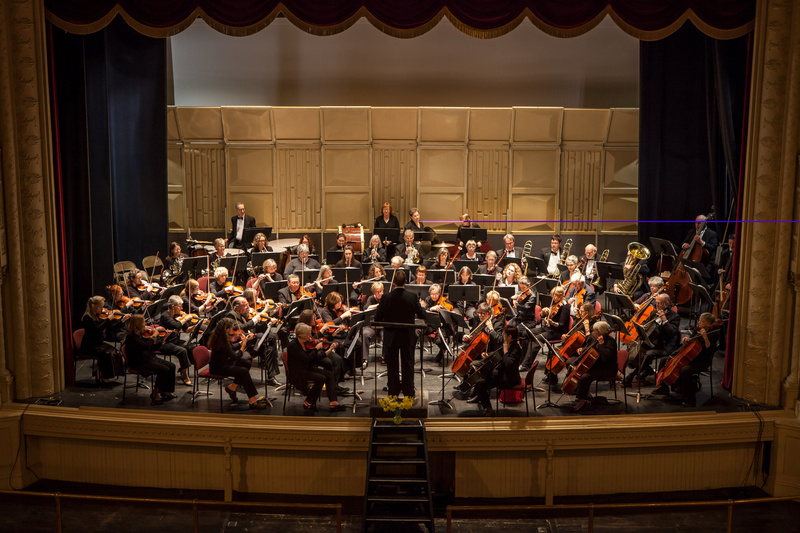 The Fall of 1999, Louis A. Kosma stepped up to the podium as Music Director of the Vermont Philharmonic and proudly brought Vermont's oldest community orchestra into the 21st Century. Perhaps the Philharmonic's proudest achievement has been in its support of music in Vermont schools. Many opportunities are offered to students to perform with the orchestra. The Philharmonic awards annually, through audition, a scholarship to an outstanding Vermont high school student of music, who is then the featured soloist in a regular concert. Many scholarship winners have gone on to study music in college and graduate school. Today, the Philharmonic's member-musicians, some 60 strong and from all walks of life, are committed to the orchestra's two-fold mission of sharing their love of music with audiences of all ages, and encouraging young musicians to dedicate themselves to their musical education so that some might become professional musicians of tomorrow.